Calvin's Custom one sixth scale ZERO DARK THIRTY diorama. Calvin's Custom one sixth scale ZERO DARK THIRTY diorama. 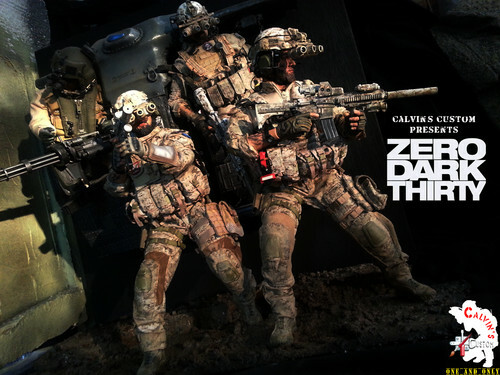 HD Wallpaper and background images in the 电影院 club tagged: movie zero dark thirty one sixth calvin's custom. This 电影院 fan art contains 步枪兵, 步枪手, 绿色贝雷帽, 特种部队, 精英士兵, 绿色贝雷帽特种部队, 海军印章, 印章, 海军海豹, 海豹, and 海豹海豹. There might also be 战斗服, 迷彩服, 疲劳, 韦翰, 团, and 佩带.